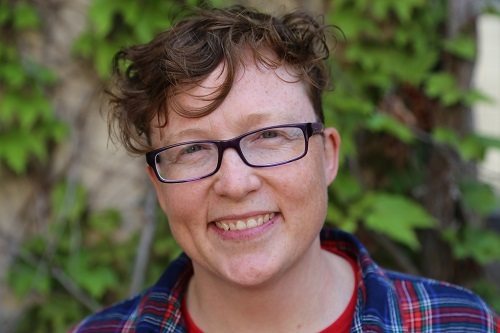 Dr. Jackie Dawson is Canada Research Chair in Environment, Society and Policy, and an Associate Professor in Geography at the University of Ottawa. She is also an Adjunct Professor at the School of Outdoor Recreation at Lakehead University, the Director of Arctic Development at the Institute for Science, Society, and Policy at uOttawa, and a Research Fellow at the Centre for Land, Environment and People at Lincoln University. Dr. Dawson holds an MA from the School of Business (Tourism) from the University of Otago, and PhD in Geography from the University of Waterloo. Dr. Dawson’s research on the human and policy dimensions of environmental change focuses strongly on the implications of climate change and economic development for the Arctic shipping sector. She leads several projects examining Arctic shipping trends, marine shipping governance and policy, climate change impacts and adaptation, and local marine use and transportation needs. Dr. Dawson works closely with coastal communities in Arctic Canada, shipping industry stakeholders, and government departments involved in the Arctic marine transportation sector. Dr. Dawson has authored a wide range of publications, including a number on assessing the risks and opportunities associated with climate change and tourism in Canada’s Arctic. She sits on the editorial board for the journal Current Issues in Tourism and on the Advisory Board for the Youth Arctic Coalition. She is also involved in numerous adjudication committees including, the Association of Canadian Universities for Northern Studies, Students for Canada North, and the Social Sciences and Humanities Research Council. Jackie Dawson is also a member of the CCA’s Scientific Advisory Committee.